The violence unleashed in Kyrgyzstan is being spun as ethnic rioting. The reality is a good deal more complex, and the blame can be laid directly at Russia's door. Russia's coup against the Bakiyev government which took power in the Tulip Revolution leveraged Uzbek separatists in the Osh Province to suppress Kyrgiz nationalist supporters of Bakiyev. Russia had been trying for a while to force out Manas Air Base, a US air force base that serves as a vital link to US forces in Afghanistan. Russia tolerated Bakiyev, so long as he was against the US base. But once Bakiyev made a deal with the United States, and began exploring an energy deal with China that might have ended Russian leverage over the country, Putin pulled off a coup during Obama's nuclear arms reduction treaty signing with Medvedev, a true "Godfather" moment. People like Uzbek nationalist leader Kadyrjan Batyrov were used to stage riots, and suppress counter-riots, in order to remove Bakiyev from power, and replace him with Roza Otunbayeva. 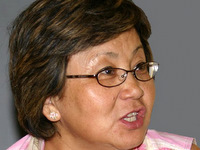 Otunbayeva was a former Soviet diplomat at the UN, Marxist academic and local Communist party official. This completed a series of Russian reversals of "Revolutions" in former Republics and Warsaw Pact nations, with only Georgia still in the way. But the Kyrgyzstan coup left behind a lot of unfinished business. A Russian coup usually comes in several stages. First a wave of propaganda thunders forth from Russian media outlets, which are government controlled, blasting the government of the country they want to overthrow as corrupt and repressive. This is followed by a domestic uprising staged by organizations tied to Russia. 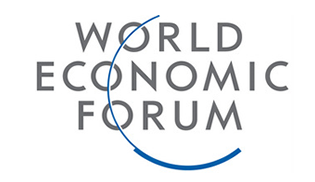 If this uprising fails, a new wave of propaganda follows aimed more at the West, which brands the target government as repressive and contributing to regional instability (a coded threat which warns Western countries that if they attempt to intervene, it could lead to a regional conflict) and that leads to an invasion by Russian "peacekeepers". In Kyrgyzstan, Russia's coup succeeded, but at the cost of severely exasperating existing ethnic tensions. By leveraging Uzbek separatists like Kadyrjan Batyrov, Putin had managed to light the fuel dump of ethnic tensions that had been constantly simmering in Osh already. This was not entirely unplanned. In the Soviet era, Russian policy took a Divide and Conquer approach to the Republics, often transplanting ethnic populations or drawing borders so as to create multicultural tensions that would prevent the locals from uniting against them. This approach however leads to long term disastrous consequences, as it did when the British utilized it in Israel, importing Arabs to balance out Jewish immigration, resulting in decades of terrorism and war. In Kyrgyzstan, the toxic mix of Uzbeks, ethnic Russian settlers and others among the dominant Kyrgyz ethnic group means that Russia always has plenty of levers when it wants to destabilize the country, but that instability may not always end when Russia says it does. Uzbek separatism has been the explosive issue in the Osh Province because of its sizable number of Uzbeks. Which in turn has meant a region polarized between Kyrgyz nationalists determined to keep Osh and Uzbek nationalists who want secession or at least cultural autonomy. Former President Bakiyev who won solidly in the Osh Province with 2/3rds of the vote made some effort to defuse it, but because he was from Osh himself, he couldn't do so without alienating his own base, which due to Uzbek separatism, was both Kyrgyz and nationalist. This made Kadyrjan Batyrov and his Uzbek nationalists a handy tool for Moscow when they wanted to remove Bakiyev and replace him with their own puppet. But it also meant that Putin had lit a fire that couldn't easily be put out.By using Batyrov to enforce a takeover in a region ripe with Kyrgyz nationalists, Putin stoked fears of Uzbek separatism that would be backed by the full might of Mother Russia. Much as Putin had done for Abkhazians and Ossetians in Georgia. And indeed had Bakiyev managed to remain in power, the way that Saakashvili had-- there is little doubt that Russia would have backed Uzbek secession and used that as a pretext for invading Kyrgyzstan. Just as they did in Georgia. And since Kadyrjan Batyrov's Uzbek nationalists had used armed force to suppress pro-Bakiyev protesters, and with clan vendettas a major factor in the region, Osh was bound to be a tinderbox for some time to come. Russia's Otunbayeva puppet regime could not turn its back on Batyrov, because he had helped it secure power. But alienating a regional majority already afraid that they were about to become the next Kosovo or Georgia, was extremely unwise. For Otunbayeva anyway, less so for Russia, which might actually have been waiting all along for the chance to send in its "peacekeepers". 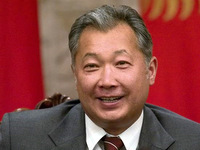 The Kyrgyzstan armed forces had not proven useful to Bakiyev, but as they are in the vast majority Kyrgyz. They might not have been willing to back Bakiyev, but they would be even less willing to defend Batyrov and his followers. Batyrov's Uzbek group had warned that any attempt to arrest him for his armed suppression of protesters would be an attack on all Uzbeks. 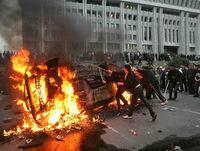 This insured that the formula for the rioting would fall along ethnic lines. Russia's government controlled media is predictably monopolizing the reporting, focusing on Uzbeks asking for Russian troops. The reality however is that Russia created the rioting and the massacres for its own agenda. Putin wanted to drive out the US airbase in Kyrgyzstan, even at the cost of inflaming ethnic tensions by appearing to endorse Uzbek separatism. Everything that followed can and should be laid at his doorstep. Now Putin is trying to bring in the People's Republic of China via the Shanghai Cooperation Organization to form a united front on Kyrgyzstan in support of his own Otunbayeva puppet regime. With a weak Obama Administration that was unable to respond even to Russia pulling off the Otunbayeva coup during an arms reduction treaty signing, as a deliberate slap in the face, Russia has nothing to worry about in the way of US interference. However it has a much bigger invisible problem to worry about. By feeding Uzbek separatism in Kyrgyzstan, Putin is empowering a population that has increasingly come under the sway of Islamist groups such as Hizb ut Tahir, whose goal is to rebuild the Caliphate. While the old Bakiyev government had cracked down on Islamists and in particularly on Hizb ut Tahir (to the outraged protests of European and Russian human rights activists), the Otunbayeva government has sought their support by giving them a pass. Including amnesty for Hizb ut Tahir members imprisoned in what Uzbek separatists and their human rights allies call, the Nootak Incident. Providing amnesty for participants in the Nootak Incident in which Hizb ut Tahir supporters rioted during Eid al-Fitr served as a dangerous message by the new government of open door for the Islamists. Hizb ut Tahir's strategy goes beyond Uzbek nationalism, but does piggyback on it. And it can best take advantage of the fighting in Kyrgyzstan by using the African model that has worked so well for Islamist groups there. While its base is still the Uzbeks near the border with Uzbekistan, it is also moving up into the north, and successfully recruiting Kyrgyz as well. This is in keeping with the phased approach utilized by Islamist groups in countries with an existing Islamic population and an impoverished rural base. (In Western nations however Islamists are a growth factor in urban or suburban areas where their base of Muslim immigrants tend to be located, while native non-Muslims living in rural areas tend to be their key source of opposition). While Otunbayeva's Social Democratic Party has not endorsed or legalized Hizb ut Tahir, the instability in the Osh Province, where Hizb ut Tahir, is strong, can only build support for them in the long run. Whether Uzbek separatism gains new life or is suppressed again, Hizb ut Tahir will begin to seem like more of a viable alternative, by promising traditional Islamic values as an alternative to the corruption of secular political parties. And while for now, religious parties have been banned, Hizb ut Tahir has financial backing built on oil money and a great deal of patience. While Putin tries to dominate Kyrgyzstan, Islamist groups know that they are the ones who will win in the end. Daniel Greenfield is a columnist born in Israel and currently living in New York City. He is a contributing editor at Family Security Matters and writes a daily blog column on Islamic Terrorism, Israeli and American politics and Europe's own clash of civilizations which can be found at Sultanknish.blogspot.com.